Who are you? Ian runs holiday homes services, Hester is a makeup artist & hair stylist and blogger and little Jack Russell, Kermit the dog. Why Broadstairs? Ian: Peaceful, friendly community, beautiful scenery and a general high quality of life. Hester: This is the closest by to Holland I can get Ian. How do you define style? Hester: Relaxed and homemade. 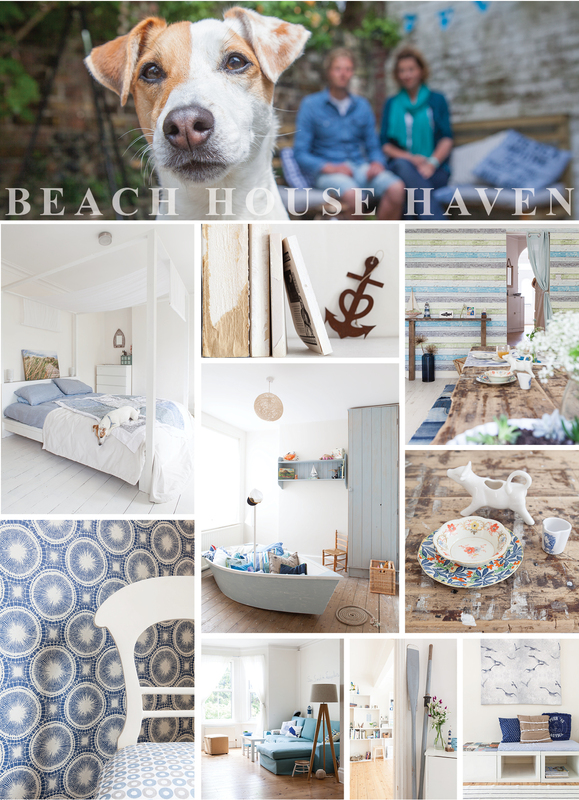 I love wood, white tones and blues hues, Scandinavian style with a little bit of New England beach mixed in. Ian: Whatever makes you feel good about yourself. If you were an animal, what would you be? Hester: a monkey. Ian: I am an animal. If I had to be another, I like birds, they can fly. Object of desire for your home? Hester: A veranda with lots of outdoor entertaining space. Ian: Solar panels. What inspires you? Ian: Humanity. Hester: Everything from bright wallflowers on the cliff, the sunsets over the beach, snippets of conversation you overhear, magazine articles and Pinterest. Best and worst thing about your move to Broadstairs? Ian: Knowing and being friends with most people on the street. Worst is no sushi restaurant. Hester: making an outdoor lifestyle so easy. Worst lack of nice shops. What would be your dream job? Ian: Bringing the world closer together and ending poverty. Hester: being the new Martha Stewart. Favourite space in your house? Ian: Bedroom. Hester: the dining table and the garden bench. What is your biggest weakness? Ian: Chess. Hester: buying to many magazines. What couldn’t you live without? Ian: Sunlight. Hester: Internet and a decent cup of coffee. What would you do if you were Mayor for a day? Ian: Organise the local restaurants to donate leftover food each day to the poor. Hester: allow pop-up shops to open in all the empty building on Broadstairs High Street. What would you buy if you won the lottery? Ian: a celebratory beer. Hester: the house. What do you collect? Ian: Knowledge. Hester: blue and white vintage china. Who are your heroes? Ian: They change as I go through life. Currently intrigued by Epicurus, a Greek philosopher from 340BCE ‘Is God willing to prevent evil, but not able? Then he is not omnipotent. Is he able, but not willing? Then he is malevolent. Is he both able and willing? Then whence cometh evil? Is he neither able nor willing? Then why call him God?’. Hester: I admire people who can turn their hobby into a successful business. If you were exiled to the Maunsell Sea Forts what three things would you take with you? Ian: Hester, Kermit and my iPad to order shopping. Hester: ha-ha I answered exactly the same Ian, Kermit and my ipad. Describe your perfect day. Ian: A day in which I learn something new or meet a new person I connect with. Throw in walking the dog on the beach and a beer watching the sunset with friends and that has to be it. Hester: waking up by bird song and sunshine, walk the dog on the beach and have breakfast at Sam’s cafe in Dumpton Gap. Have a lovely massage in the perfect spa (which I still haven’t found in Thanet) Finish the day with a bbq in the garden with our friends and family. In 10 years time where will you be? Hester: running my successful lifestyle store/coffee shop. Best advice you’ve been given? Ian: Listen. Hester: trust your intuition. What are your goals for the next year? Ian: Aside from winning the lottery? Develop my business and offer a good service to the good Thanetian citizens. 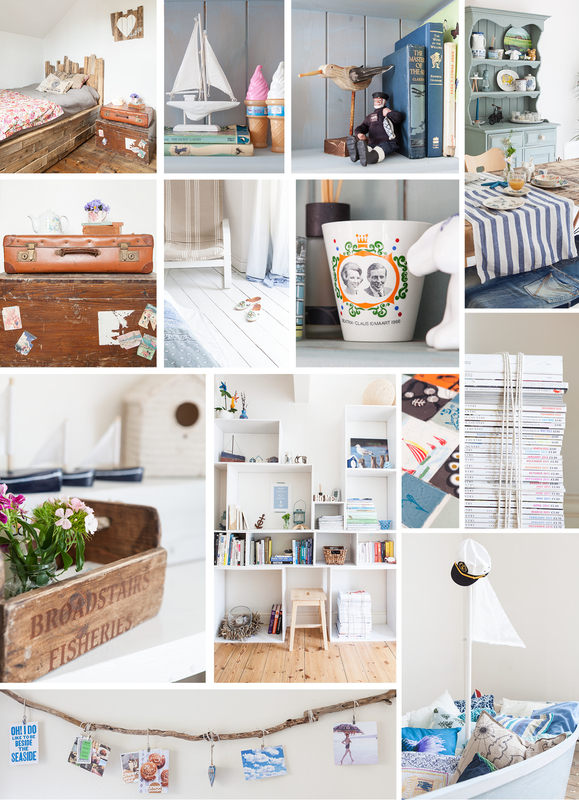 Hester: making my online lifestyle store a big success! ROUND-UP: Hester & Ian rent this property in the heart of Broadstairs. Renting can often restrict the personal impact you can have on a place, but a mutually beneficial situation has allowed the pair the opportunity to decorate from top to bottom – the landlord has a well kept & cared for property, whilst Hester & Ian get a house that really feels like their own – effortless & relaxed. They have created a beautiful beach house haven.